EDEN, N.C. - Research from universities, regulators and industry experts increasingly demonstrates that the Dan River is in good condition one year after a coal ash spill at the Dan River Steam Station. Duke Energy N.C. President Paul Newton today joined local leaders from Eden and Rockingham County at an update, entitled The State of Our Rivers, to share ongoing findings that indicate the river is thriving. Tests by the state of North Carolina, the U.S. Environmental Protection Agency (U.S. EPA)and Duke Energy that demonstrated water quality in the Dan River returned to normal levels a few days after the ash release. Drinking water quality always remained safe. A November 2014 study by the N.C. Department of Environment and Natural Resources (DENR) that found macroinvertebrates, a key indicator of the river’s health, were healthy up and down the Dan River. DENR sampled locations upstream and downstream of the plant and found populations to be in excellent condition. (http://portal.ncdenr.org/c/journal/view_article_content?groupId=4711509&articleId=23477514). Since the spill, Duke Energy has conducted a major operation, under the direction of the U.S. EPA, to excavate and monitor coal ash in the river. "Nearly a year ago, I came to Eden on a much more somber day," said Newton at the event. "I made a pledge that day on behalf of Duke Energy  that we would use all available resources in our response to the Dan River accident, and that Duke Energy would do the right thing for the river and the communities that depend on it." "Today, I am glad to say that the river is thriving, and theres hard science that tells us so," said Newton. Newton, who grew up in Eden, has been closely involved with operations and community work in the Dan River basin throughout the response and monitoring effort. "The monitoring and testing activities have continued through the past year to provide us extensive information about the rivers good condition," said Newton. 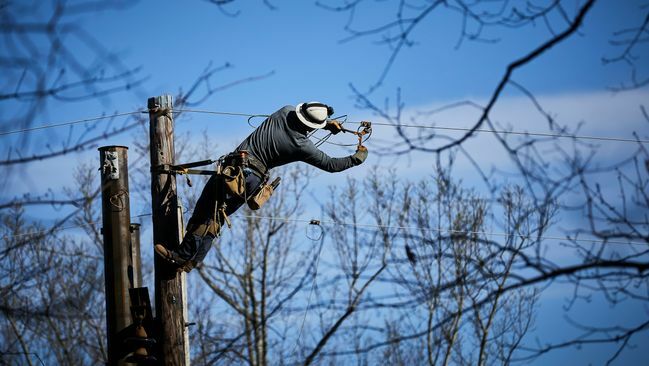 Duke Energy continues to work with state and federal regulators. Ongoing monitoring programs in the Dan River and Roanoke River basins include fish community assessments, fish tissue analysis and other important samples. All scientific indicators point to the fact that the river is thriving. In addition to monitoring activities, Duke Energy continues to work closely with communities along the Dan River. 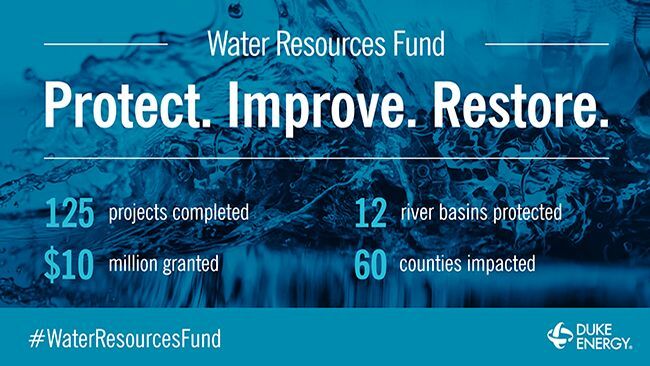 As part of that support, Duke Energy recently created a $10 million Water Resources Fund to support projects benefiting waterways in the Carolinas and those downstream from the companys Carolinas operations. Among seed grants already announced are $250,000 to the Rockingham County Community Foundation and the Community Foundation of the Dan River Basin. Those grants, as well as more than 70 grant applications under consideration, will be used to support local projects and investments, some of which are expected to be announced in coming weeks. "We're excited about this investment and the work it will facilitate to improve water quality, water sources and conservation," said Newton. Information on response and restoration activities and Duke Energys ongoing commitment to the Dan River can be found at www.duke-energy.com/dan-river. In addition to work along the Dan River, Duke Energy has made significant strides in enhancing its broader management of coal ash across the Carolinas. Information about Duke Energys ash management strategy and progress can be found at: www.duke-energy.com/ash-management.